macOS Sierra and later do not allow all apps to run by default. 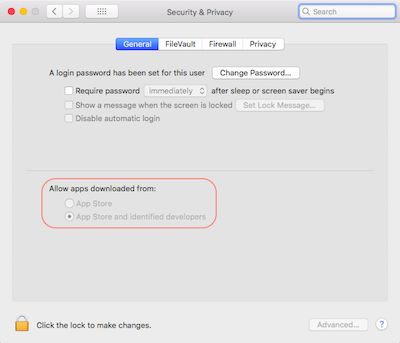 Instead, the OS limits execution to apps downloaded from AppStore or AppStore & identified developers. As such, some downloaded apps cannot be executed without triggering a warning and users may have to go to the Security & Privacy PrefPane to allow the app to run. The restriction will then be lifted and all downloaded apps will be allowed to run. I believe this info was 1st reported by Netkas.